Designed for the modern bride who is looking for an invitation with a subtle rustic twist. This suite will be the perfect compliment to your big day. For this invite, a modern, handwritten script font is paired with a simple fern illustration that is multiplied on the bellyband. The assembly is tied together with a monogram tag. Signature Suite with an additional details insert and monogram tag add-on. PICTURED: Signature Suite with envelope addressing on guest and response envelope, an additional details insert, and a monogram tag add-on. 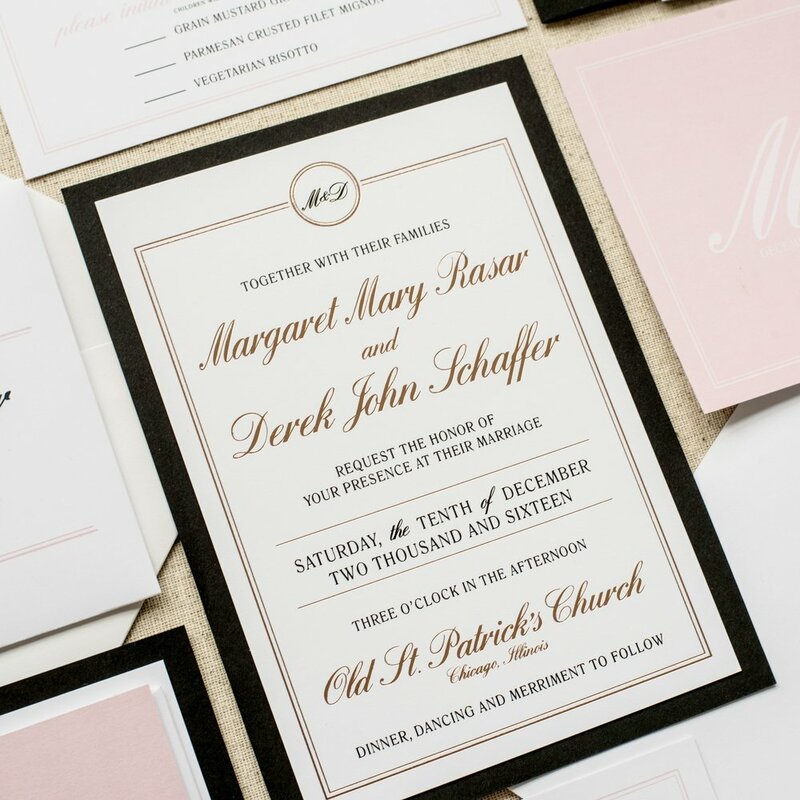 Designed for the chic bride who is looking for an traditional invitation with some modern elements For this suite, a traditional script font is paired with a feminine monogram and clean lines. When your guests open the elegant, lined envelope, the invitation will be held together with a bellyband and monogram seal. PICTURED: Signature Suite with foil stamping upgrade on main invite and monogram seal, envelope addressing on guest and response envelope, envelope liner on an upgraded euro flap envelope, and a monogram seal add-on.